Content writing is really an important skill for all the bloggers. Writing blog posts is a great technique that you must have as a blogger. Successful bloggers always take extra care when they write blog posts. Because it is the most important product of yours to attract the visitors. You must publish well-optimized blog content for the readers. Here is an article about how to write SEO optimized blog post on WordPress? This article is not only for the WordPress users but also Blogspot users can get the basic idea about content writing skill. Every day millions of articles publish on different blogs and websites. But you will see that all these articles can not attract the attention of visitors as well as search engines. Visitors and search engines are closely related to each other. If you know how to write SEO optimized blog post then you try to do that. After publishing SEO optimized blog posts, search engines can easily rank those posts. So these types of posts get more visitors from search engines. If you write such an article that really poor in SEO, you will not get any good result. Your hard work will go in vain. So writing and publishing are not only your duties but you have more responsibilities. If you are a blogger, it is your obligation to write well-optimized blog content. So you have to know how to write SEO optimized blog post? When you want to write SEO optimized blog posts, you need to keep in mind different topics. Here I show you some of the most important factors that are the must write well-optimized blog content. After selecting your topic, you need to make a plan that helps you to write a perfect SEO optimized article. Before writing an article, you have to select a perfect topic of writing that is related to your niche. you need to write such a topic that is important to the users. They are looking for this topic. You know that keywords are crucial for every blog post. Some of the bloggers are not careful about keywords research. They don’t know that people find them by the help of their keywords. I think keywords are equal to your whole article. Because if you can not select proper keywords then your article will not reach the door of your users. So is no benefit if no one read your article. You must know the keywords research process if you want to know how to write SEO optimized blog post. Google Adwords is my favorite keywords research tools. But this tool is not enough for you. You need the most powerful keywords research tool. 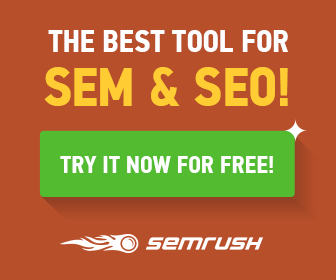 SEMRush is my favorite choice. You can easily get the profitable keywords using this tool. Content title/post title and meta title are is also important issues. There is a difference between the content title and meta title. Readers see the content title on your blog/website. Search engines show the meta title of your post on search results. You need to select perfect posts title and meta title. Place your keywords in both titles. Try to use the unique content title, don’t copy others title. If you have no meta title option then your post’s title will be considered as meta title. Meta description is the must to rank well in search engines. All the SEO plugins have an option meta description. I am using Yoast SEO that allows us to add a meta description. The Meta description should not be more than 156 characters. You have to use focus keywords and LSI keywords on meta description. Try to use perfect permalinks. You can edit your permalinks. Make sure that permalinks contain keywords. Delete stop words from your permalinks. You need to use heading tags such as H1, H2, H3 and more. Your post title is an H1 tag by default. Now your need to use other tags on your posts. Using heading tags improve your SEO score. Search engines like the proper heading tags. H2 tag is really important for better SEO. Add keywords on heading tags. You know the image is really an important issue to create an awesome post for your blog. Image increases the beauty of your content. But you need to use the well-optimized image. Use Alt tag, title tag on your image. Don’t use other images because it is a crime to Google. WordPress SEO plugins such as Yoast SEO allows you to optimize your image properly. Keywords density is also important for better SEO. Placement and density both are crucial for better SEO. Keywords density should have 1.5%-2%. It is a good idea to add keywords in the first paragraph and last paragraph. Internal linking is really effective for good SEO. It helps you in many ways. If you have already written some contents that are related to your current topic. You need to add some of your previous posts links on your current posts. It helps the readers to get more about this topic. So they depend on you more and your bounce rate will decrease. Content writing is not a fun. It is the must have skill of the bloggers. Your success in blogging depends on your content writing skill. So you have to know how to write SEO optimized blog post?